Mike’s love relationship with field hockey began at the age of 8 years old. He immediately fell in love with the sport and has been involved playing and coaching ever since. He started playing with the Bulldogs and made the Junior National Team at the age of 14. His love and passion for the sport has continued and has been passed on to his 4 children, who are all now Bulldogs. Each year Mike fully devotes his time, energy and resources to helping a new generation of children to fall in love with the sport that he has loved for over 30 years. His hope and desire is that the kids will have a fun and positive experience with Field Hockey at an early age. Iris Hommes-Kindt and her family moved to LA in 2012 from the Netherlands. Since age 6, all three of her children have been playing hockey at Bloemendaal, one of the top clubs in the Netherlands. From 2012, Iris became active as a team mom & secretary for the Bulldogs and volunteering for Calcup. Two of her children remain very active hockey players: Wander (17) plays for the Bulldogs and also has been selected for the US National Junior Team, and Sabine (16) is also playing with the Bulldogs and is currently touring a number of national tournaments for college-coach interactions. 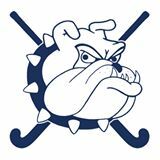 I got involved with the Bulldogs Field Hockey club when my son & daughter started playing in elementary school about 15 years ago. I joined the Bulldogs board and served as the Commissioner for a few years and now I serve as Treasurer. I also support the Cal Cup field hockey tournament as a volunteer. My wife Holly and I have lived in the Conejo valley for the past 30 years. Our children are grown. We have operated the Carden Conejo School in Westlake Village for 13 years. Marc brings his native country love of the sport to our local youth. 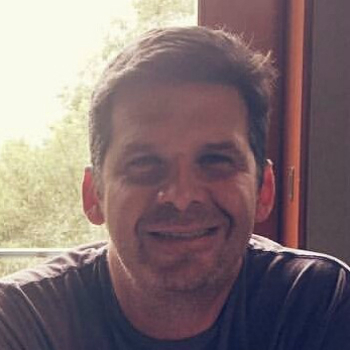 Orginally from the Netherlands, now a local business owner, and with children active in the sport, Marc brings a passion of growing field hockey in the region. Marc provides business management and marketing expertise to the organization while also providing day-to-day coordination for club activities. Matt has been a member of the Bulldog club as a parent since 2012. The Baumgardner family were immediately drawn in by the warm and welcoming experience shared with other Bulldog families. Matt is responsible for creating the registration for the club and assists the commissioner with the website. His son Leo plays for the 14U and 16U Bulldogs teams and is also a coach for the 10U team.